The department of electronics and information technology (DeitY), under Prime Minister Narendra Modi, has been aggressively promoting an ‘app culture’ in the country. According to the department, 666 applications were made active on various app stores and another 62 in the demonstration stage in the past year. These were given shape by the 10 Centre for Development of Advanced Computing (C-DAC) units across the country. DeitY officials said the Prime Minister’s Office (PMO) has instructed them to get apps made for specific purposes and promote these as part of the Digital India initiative, as the smartphone penetration in rural and urban areas has increased drastically. According to the ministry, there are about 70 million smartphone users in rural areas, of 905 million users in India. Experts say compared to websites, apps for specific purposes are easier to make and use on a smartphone. To operate a website, one needs a computer, as it may be heavier than an app. Most of the apps have been developed in Hindi, Tamil, Telugu, Bengali, Gujarati and other regional languages. “Earlier, the focus was on developing websites but now we are slowly shifting the focus to developing more smartphone applications. The PMO believes that they have more penetration in rural areas since the number of smartphones is way more than desktop computers and laptops. 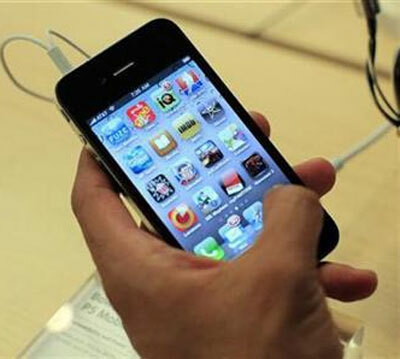 As apps are more basic, the adoptability in rural areas is more,” said a senior DeitY official. According to DeitY, the government apps are finding a lot of takers in rural areas. Apps on various aspects of e-governance, agriculture, basic health care, sanitation and education are being downloaded the maximum number of times. A large percentage of apps are education-based, designed for rural schoolteachers to help them teach children. “These are basic applications, which aid teachers in helping students learn English and languages, algebra, calculus and other subjects. Teachers are able to stay abreast of the current curriculum from these apps and students get a free tutorial,” added the official. Besides, there are apps for farmers, which help them understand the seasonal crop cycles, let them know about new biofertilisers, manure, helping them understand which seeds would help them get maximum yields. “We have even developed an app which helps fishermen in coastal areas locate regions where the density of fish is more,” added the official. For promotion of these apps in rural areas, the government is roping in gram panchayat heads and schoolteachers. They tell the targeted sections how these apps would benefit them and help establish a direct connect with the government. The government also plans to promote these apps at its common service centres (CSCs) in rural areas. In future, CSCs would become hubs for internet-based training and e-commerce transactions.